We’ve been to Bluestone Wales three times now. Our first two trips to Bluestone were at Christmas (see the posts here and here), so we were really excited to be invited back this time in the spring. 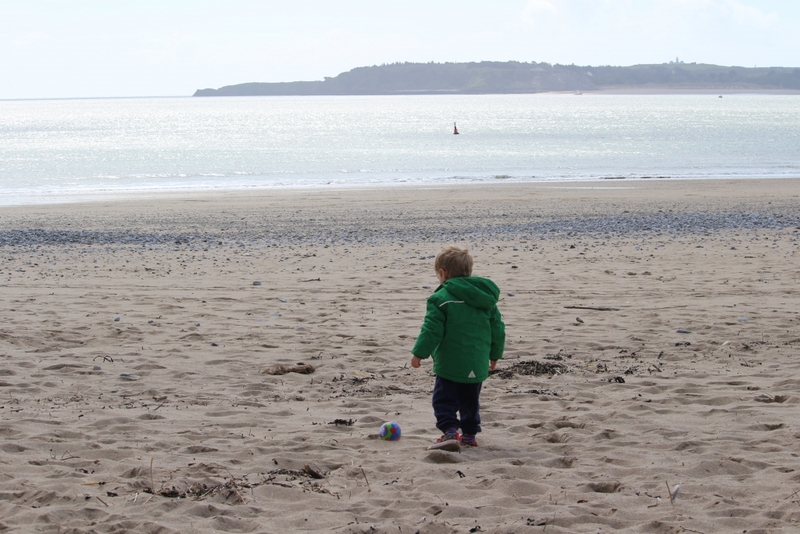 We were even more excited when the Friday before we left temperatures reached 25 degrees; I had visions of spending the holiday stretched out on the sandy beach at Tenby. The day we went, the rain poured. The journey was long and uneventful; we didn’t even need to make any emergency toilet stops which was just short of a miracle. We met my parents in Caerphilly for lunch and then went onwards to Bluestone, arriving in time for a quick visit to the pub. It continued pouring the next day. Not Bluestone’s fault by any stretch of the imagination, but I quickly realised it was not going to be the beachy holiday I had perhaps visualised. Stays at Bluestone are midweek (Monday – Friday), weekend (Friday – Monday) or the whole week. We were on a midweek break and were allocated a Tenby Lodge in Castle Close. We had previously stayed in both a Skomer and a Gateholm lodge. All lodges are over two floors and sleep up to six people, but they are quite different from each other. 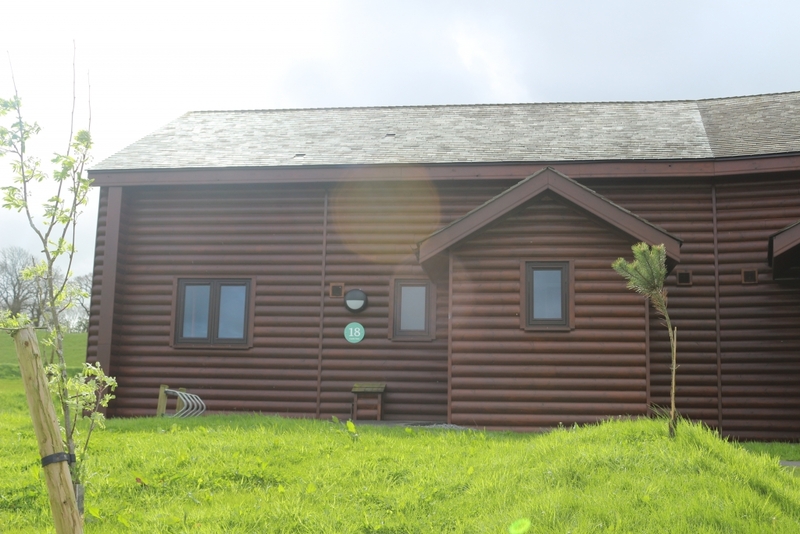 The Skomer lodge was the largest of the lot with two en suite bedrooms upstairs, a large living area and bedroom downstairs plus a really handy entrance area. The Tenby lodge was semi-detached, whereas the previous two lodges had been detached. The Tenby was the smallest of the three with one large en suite bedroom upstairs on the mezzanine floor and two smaller ones downstairs with one separate bathroom and an open plan living room and kitchen. You can take a look at the various accommodation options here. 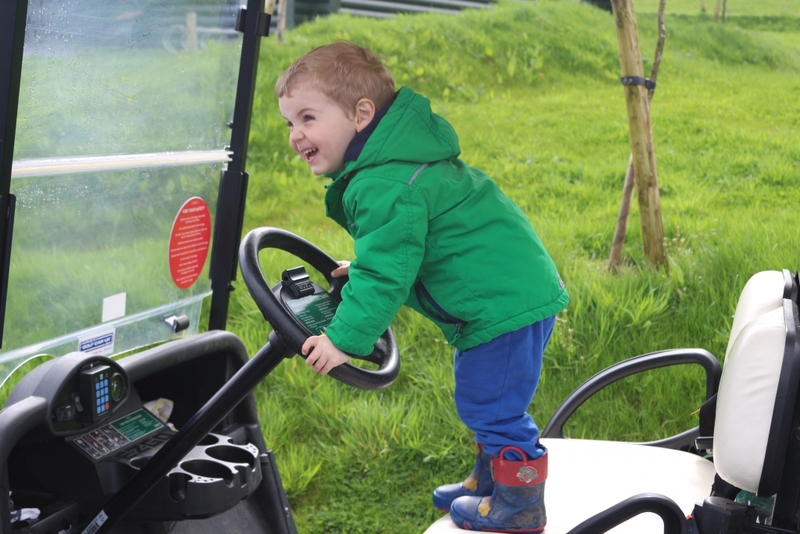 Although still perfectly adequate for the six of us (myself, Doug, the kids and my parents) it was further away from the village and Adventure Centre than we had been previously, meaning this time I decided to get a golf buggy to take us around the site. If I went again I would definitely book a golf buggy. They’re great for nipping around and the kids thought it was brilliant although make sure you have a tea towel to wipe it down and for goodness sake remember to wipe the roof or you’ll be dripped on relentlessly. On our first full day, Tuesday, it was raining so we stayed on-site; fortunately there is lots to do at Bluestone. 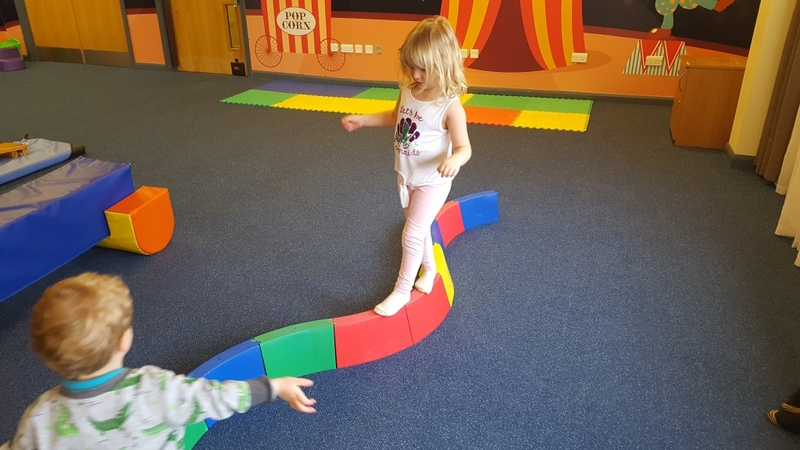 In the morning we took the children to the soft play area, then for lunch in the Wildwood Cafe inside the Adventure Centre and in the afternoon we went swimming in the Blue Lagoon Pool. We then journeyed via golf buggy into the village where we went to the Tŷ Coffi Coffee shop for tea and a slice of cake, and then Doug and I nipped off to the Well Spa where I got my nails done and had a rather relaxing few hours in their thermal spa. We decided that rather than head back home to help put the kids to bed, we would grab the opportunity to be childfree with both hands. After a drink in the Knight’s Tafarn pub went for food in the Farmhouse Grill restaurant. I have to admit, I wasn’t expecting much but the food was lovely; really generous portions too. Given they have a captive audience you might forgive them for being a bit lacklustre but even the cocktails were nice. 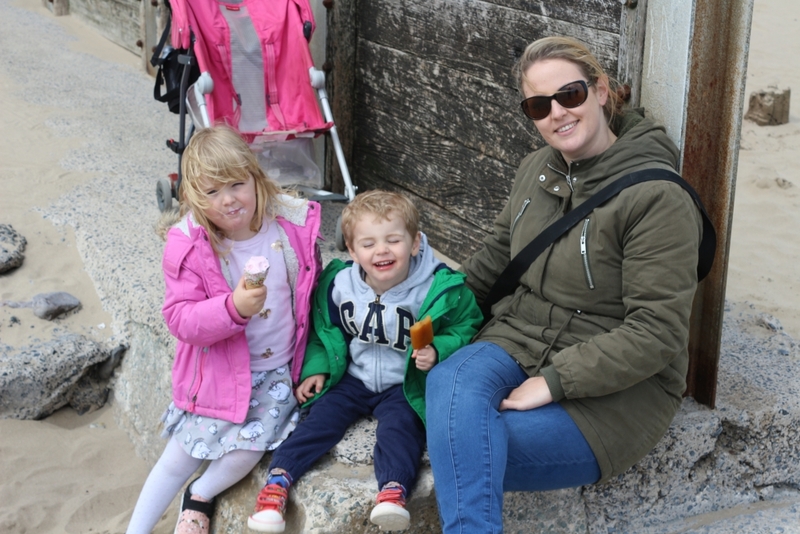 On next day, we all went to Folly Farm. We have driven past numerous times but closes during the week in the winter, so we’ve never had a chance to visit. 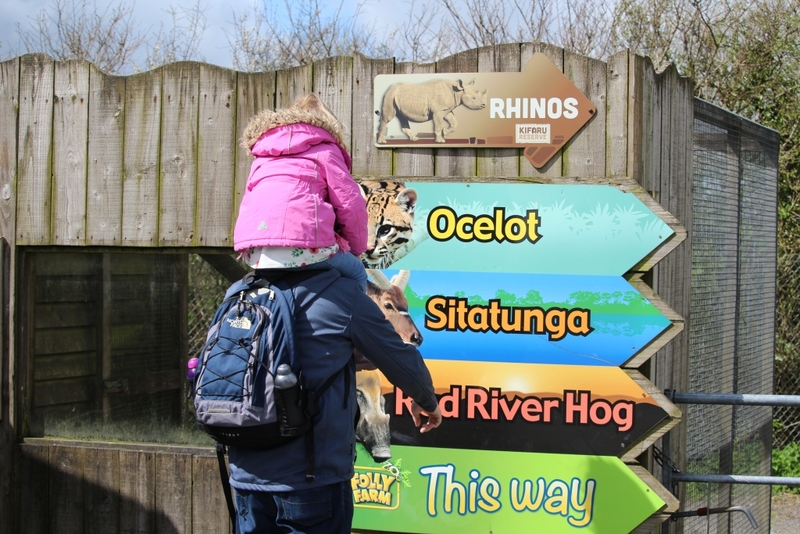 Folly Farm is actually a lot more than a farm; it’s a vintage fairground, adventure playground and a zoo. It was a brilliant day out and we all enjoyed it so much I’ll be reviewing it separately because I have a LOT of photos. 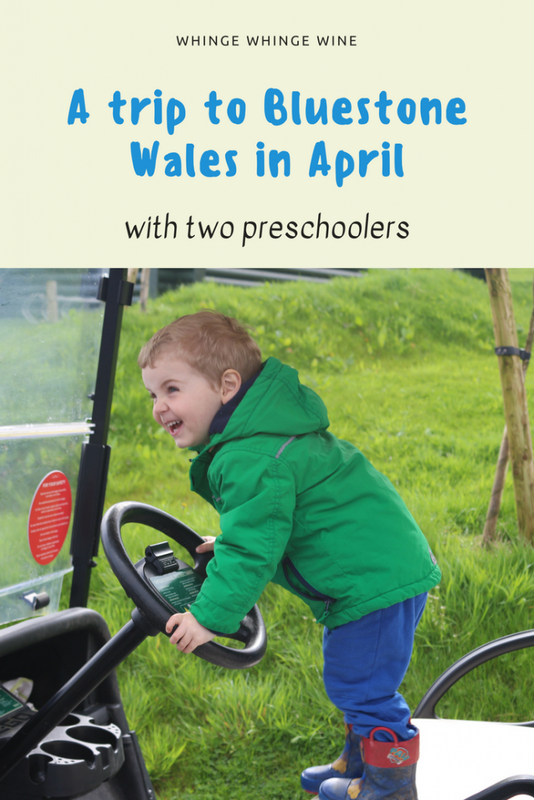 It is a great place to visit if the weather isn’t too brilliant because there is a lot to do indoors, including the farm and the fairground and soft play. The Welsh are clearly prepared for wet weather (and rightly so). The next day was bright and breezy, so we went to check out the local beaches. 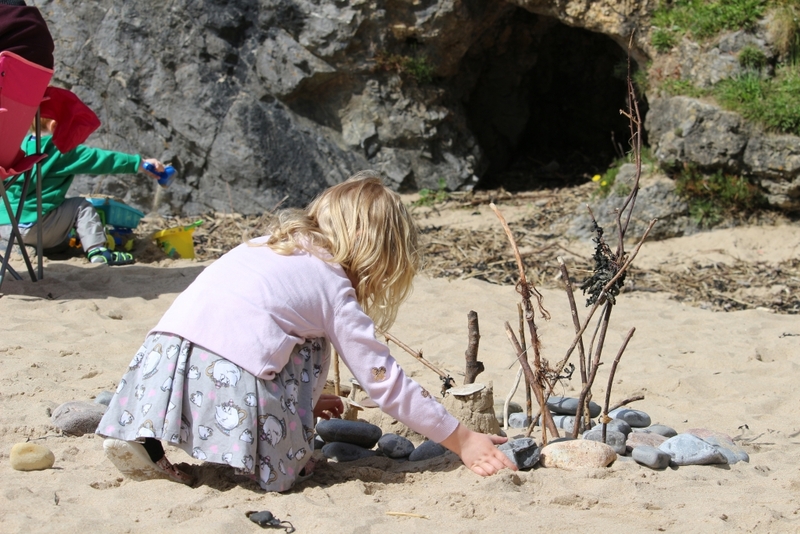 We visited the beach at Tenby, parked easily on the south beach car park and found a spot out of the lashing winds where we enjoyed a few hours of sandcastle building. We even managed to take our shoes off and the sun came out to greet us for a while. Then our parking ran out, so we skipped over to Saundersfoot where it was harder to escape the winds but we stoically ate ice cream anyway. That evening we took the children for food in the onsite Oak Tree restaurant. It didn’t appeal to me as much as the Farmhouse Grill; there was no real atmosphere, it didn’t really feel like a restaurant. The food wasn’t as good in my opinion, and Doug had a few issues with his meal. I probably wouldn’t go back, but the staff were nice and if you fancy pizza then they also do takeaway . There is a small vegan menu too. And just like that, the holiday was over, and we had to re-pack our bags and drive on to Southampton where a ferry was waiting to take us over to the Isle of Wight for part two of our slightly soggy ‘staycation’. It has occurred to me that this will probably be our last trip to Bluestone. When my oldest starts school in September we won’t be able to drop everything and drive down to Wales during the week. Yes, it may always rain and it might be one hell of a drive but we have had some brilliant times there, it feels like it is part of a family tradition. 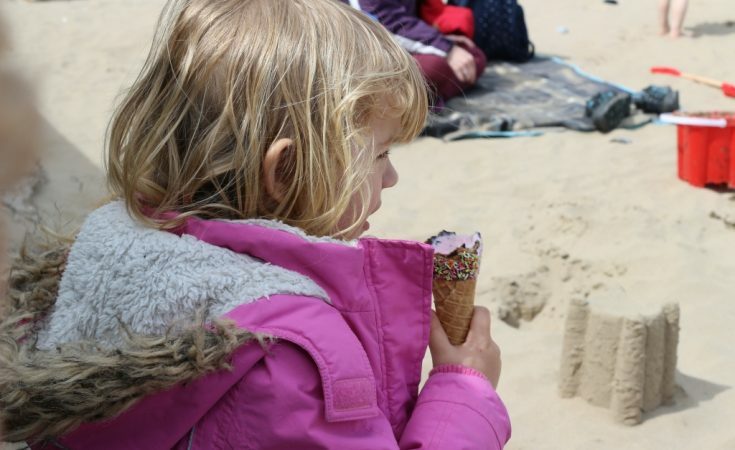 Thank you so much to Bluestone Wales for helping us to create some wonderful memories. We received complimentary accommodation as part of the Bluestone Bloggers programme. Bluestone really does look like such a lovely place! I need to go here, Evie would love it!